The prize-winning stories collected here certainly reflect that theme. From the young man visiting his father in prison—to the teenage girl trying to escape the grip of her mother's boyfriend—to the father searching for his daughter's murderer... these are people we see every day, yet did not know intimately until now. Prisoners offers the reader a variety of moods and styles—from the mournful beauty of “The Wind From Midnight" to the hard-boiled sorrow of “Failed Prayers" to the bitter power of the Shamus-winning “Turn Away." 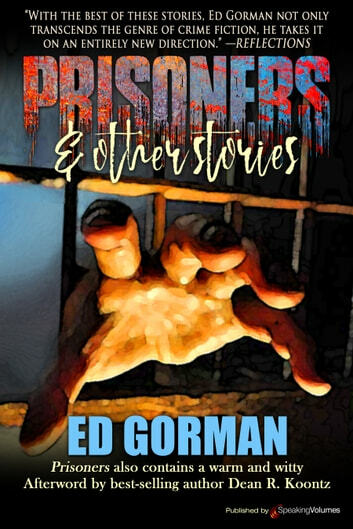 Here you'll find crime, horror and mainstream stories by the writer whose first novel, Rough Cut, Library Journal called "An auspicious debut” and whose most recent novel, The Night Remembers, The San Diego Chronicle said made Gorman “One of today's best crime writers." 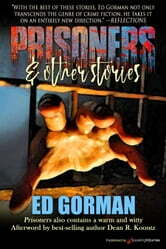 Prisoners also contains a warm and witty Afterword by best-selling author Dean R. Koontz. So You Think You’Re Having a Bad Day?